Have A Few Hours? 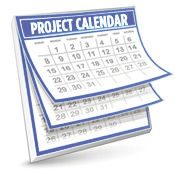 Visit our Project Calendar to find a variety of "done-in-a-day" volunteer opportunities. Do you think nature is only found outside of the city? Think again! Enjoy your Saturday morning working outside to restore our urban forest and meeting others in our community. Join Friends of Terwilliger and the West Willamette Restoration Partnership to restore our urban forest in southwest Portland. Terwilliger Blvd has been a main thoroughfare for almost 100 years! Many hikers, runners, and bicyclists utilize this verdant boulevard. Help keep this a high-quality natural area for people, native plants, and wildlife! We will have tools, gloves, water and snacks. Just bring your rain boots and a friend and come ready to work! Note: some work may be on uneven ground. Project Requirements: Volunteers must be 6 years of age or older to attend this project; any volunteer under age 14 must attend with a parent or adult chaperone. If you plan to bring your children or other guests to the event, you MUST reserve slots for them. The best way to do this is to create a Volunteer Team. You can then sign up your team for this project. All volunteers under 18 are required to bring a waiver signed by their parent or legal guardian. Please download, complete, and bring this waiver with you on the day of the project: Youth Volunteer Release Form Click "Sign Up" below to reserve your spot! Need help signing up? Call 503-200-3355. Gardening makes beautiful memories. Help prepare the Portland Memory Garden for another season of meaningful outdoor experience for individuals and caregivers coping with memory loss disorders, and make your own memories too! This is a great family friendly project. Garden tasks include weeding, grooming, sweeping, general cleanup. Most tools provided but please bring garden gloves, if you absolutly do not have access to garden gloves please email Patty- friendspmg@comcast.net. Rain or shine, please dress for the weather. Light refreshments served. Portland Memory Garden, a non-profit organization started in 2001, is dedicated to sharing the beauty of nature with those coping with memory disorders as well as with their care-givers. It is a free, secure, community resource for respite, recreation, and inspiration, maintained predominately with assistance from about 30 volunteers. The Portland Memory Garden is one of only 2 public gardens in the U.S. designed specifically for people with memory-affecting diseases and for their loved ones. Located in Ed Benedict Park, this little jewel provides four seasons of safe, accessible, and botanically rich experience. Please let us know if you are a group or individual with disabilities or other special needs- we want to be prepared to meet everyone’s needs and abilities for their outdoor volunteering experience. Email Julie at juliegbrown@yahoo.com after signing up. Project Requirements: Volunteers of any age can attend this project; any volunteer under age 15 must attend with a parent or adult chaperone. If you plan to bring your children or other guests to the event, you MUST reserve slots for them. The best way to do this is to create a Volunteer Team. You can then sign up your team for this project. All volunteers under 18 are required to bring a waiver signed by their parent or legal guardian. Please download, complete, and bring this waiver with you on the day of the project: Youth Volunteer Release Form Click "Sign Up" below to reserve your spot! Need help signing up? Call 503-200-3355. Potluck in the Park has been serving a free hot meal to anyone in need since 1991. Every Sunday, rain or shine, 52 weeks a year, we provide a hot meal in downtown Portland in various locations. 400-800 Portlanders do not go hungry on Sunday because of Potluck in the Park. We are a volunteer-driven, nonprofit organization and we accomplish our mission of providing nutritious food and an atmosphere of community to anyone in need, because of volunteers like you! Potluck in the Park Details: STARTING SUNDAY 11/18/18, Potluck in the Park will be held underneath the Hawthorne Bridge. Meal times and shift times remain the same. We may not have protection from the sun/rain, so dress accordingly for the weather. Volunteers should check in no earlier than 1:45pm and no later than 2:15pm. The actual meal service begins promptly at 3:00pm. We even provide limited cat and dog food for companion animals! Meal Service Activities Include: Helping to unload food and supplies Setting up and organizing in preparation for the meal service Serving hot or cold food to guests as they come through the line during meal service Volunteer Requirements: All volunteers must sign up below to reserve a spot. Volunteer groups must also sign up below by first creating a Volunteer Team (read more here). You can then sign up your team for this project. This project is no longer accepting groups of more than 10. Teams of more than 10 people MUST email Bethany (bethany@potluckinthepark.org) to request permission to bring a large group. It is only with the EXPRESS WRITTEN PERMISSION of the Volunteer Coordinator that teams over 10 members will be accepted. *You will receive an email from Hands On Greater Portland if you have successfully signed up your team. You can also check or update your team sign ups through your volunteer account. Need help creating or signing up a team or are you unsure if your team has the correct number of slots reserved? Email kaleema@handsonportland.org or call 503-228-9131. NOTE: In order to better communicate with volunteers, Potluck in the Park regularly sends out mailers and newsletters. To facilitate this, Potluck in the Park would like to use the contact information you supply when signing up to participate at Potluck In The Park. Potluck in the Park does not release this information to any other third party. If you do NOT wish to share your contact info with Potluck in the Park, please let the registration staff know on the day and you will be excluded from our e-newsletter and other mailings. -->Project Requirements<-- We ask that volunteers are 12 years of age or older to attend this project. We do make exceptions on a case by case basis where a volunteer is younger than 12 years old, but we reserve the right to restrict them to areas appropriate to age and stature. Any volunteer under age 16 must attend with a parent or adult chaperone. If you plan to bring your children or other guests to the event, you MUST reserve slots for them. The best way to do this is to create a Volunteer Team. You can then sign up your team for this project. All volunteers under 18 are required to bring a waiver signed by their parent or legal guardian, or - if attending with an adult - have them fill one out at the event. Please download, complete, and bring this waiver with you on the day of the project: Youth Volunteer Release Form. Remember to give this to the person running check-in! Click "Sign Up" below to reserve your spot! Need help signing up? Call Hands On at 503-226-9285. Potluck in the Park has been serving a free hot meal to anyone in need since 1991. Every Sunday, rain or shine, 52 weeks a year, we provide a hot meal in downtown Portland in various locations. 400-800 Portlanders do not go hungry on Sunday because of Potluck in the Park. We are a volunteer-driven, nonprofit organization and we accomplish our mission of providing nutritious food and an atmosphere of community to anyone in need, because of volunteers like you! Potluck in the Park Details: STARTING SUNDAY 11/18/18, Potluck in the Park will be held underneath the Hawthorne Bridge. Meal times and shift times remain the same. We may not have protection from the sun/rain, so dress accordingly for the weather. Volunteers should check in no earlier than 1:45pm and no later than 2:15pm. The actual meal service begins promptly at 3:00pm. We even provide limited cat and dog food for companion animals! Dessert Service Activities Include: Helping to unload food and supplies Setting up and organizing in preparation for the dessert service Portioning desserts as needed Serving desserts to guests as they come through the line during meal service Volunteer Requirements: All volunteers must sign up below to reserve a spot. Volunteer groups must also sign up below by first creating a Volunteer Team (read more here). You can then sign up your team for this project. This project is no longer accepting groups of more than 10. Teams of more than 10 people MUST email Bethany (bethany@potluckinthepark.org) to request permission to bring a large group. It is only with the EXPRESS WRITTEN PERMISSION of the Volunteer Coordinator that teams over 10 members will be accepted. *You will receive an email from Hands On Greater Portland if you have successfully signed up your team. You can also check or update your team sign ups through your volunteer account. Need help creating or signing up a team or are you unsure if your team has the correct number of slots reserved? Email kaleema@handsonportland.org or call 503-228-9131. NOTE: In order to better communicate with volunteers, Potluck in the Park regularly sends out mailers and newsletters. To facilitate this, Potluck in the Park would like to use the contact information you supply when signing up to participate at Potluck In The Park. Potluck in the Park does not release this information to any other third party. If you do NOT wish to share your contact info with Potluck in the Park, please let the registration staff know on the day and you will be excluded from our e-newsletter and other mailings. -->Project Requirements<-- We ask that volunteers are 12 years of age or older to attend this project. We do make exceptions on a case by case basis where a volunteer is younger than 12 years old, but we reserve the right to restrict them to areas appropriate to age and stature. Any volunteer under age 16 must attend with a parent or adult chaperone. If you plan to bring your children or other guests to the event, you MUST reserve slots for them. The best way to do this is to create a Volunteer Team. You can then sign up your team for this project. All volunteers under 18 are required to bring a waiver signed by their parent or legal guardian, or - if attending with an adult - have them fill one out at the event. Please download, complete, and bring this waiver with you on the day of the project: Youth Volunteer Release Form. Remember to give this to the person running check-in! Click "Sign Up" below to reserve your spot! Need help signing up? Call Hands On at 503-226-9285. Potluck in the Park has been serving a free hot meal to anyone in need since 1991. Every Sunday, rain or shine, 52 weeks a year, we provide a hot meal in downtown Portland in various locations. 400-800 Portlanders do not go hungry on Sunday because of Potluck in the Park. We are a volunteer-driven, nonprofit organization and we accomplish our mission of providing nutritious food and an atmosphere of community to anyone in need, because of volunteers like you! Potluck in the Park Details: STARTING SUNDAY 11/18/18, Potluck in the Park will be held underneath the Hawthorne Bridge Meal times and shift times remain the same. We may not have protection from the sun/rain, so dress accordingly for the weather. Volunteers should check in no earlier than 3:00pm and no later than 3:15pm. Recycling and Clean Up Crew Activities Include: Monitoring disposal of trash and food into proper receptacles Collecting, cleaning and organizing of trash, recycle and compost bins Washing dishes and sweeping after service Helping to load supplies into Potluck truck at end of meal service Volunteer Requirements: All volunteers must sign up below to reserve a spot. Volunteer groups must also sign up below by first creating a Volunteer Team (read more here). You can then sign up your team for this project. This project is no longer accepting groups of more than 10. Teams of more than 10 people MUST email Bethany (bethany@potluckinthepark.org) to request permission to bring a large group. It is only with the EXPRESS WRITTEN PERMISSION of the Volunteer Coordinator that teams over 10 members will be accepted. *You will receive an email from Hands On Greater Portland if you have successfully signed up your team. You can also check or update your team sign ups through your volunteer account. Need help creating or signing up a team or are you unsure if your team has the correct number of slots reserved? Email kaleema@handsonportland.org or call 503-228-9131. NOTE: In order to better communicate with volunteers, Potluck in the Park regularly sends out mailers and newsletters. To facilitate this, Potluck in the Park would like to use the contact information you supply when signing up to participate at Potluck In The Park. Potluck in the Park does not release this information to any other third party. If you do NOT wish to share your contact info with Potluck in the Park, please let the registration staff know on the day and you will be excluded from our e-newsletter and other mailings. Project Requirements: We ask that volunteers are 16 years of age or older to attend this project. If you plan to bring your children or other guests to the event, you MUST reserve slots for them. The best way to do this is to create a Volunteer Team. You can then sign up your team for this project. All volunteers under 18 are required to bring a waiver signed by their parent or legal guardian, or - if attending with an adult - have them fill one out at the event. Please download, complete, and bring this waiver with you on the day of the project: Youth Volunteer Release Form. Remember to give this to the person running check-in! Click "Sign Up" below to reserve your spot! Need help signing up? Call Hands On at 503-226-9285. Join us in the kitchen as we prepare and serve up Sunday dinner for the residents of the Good Neighbor Center - a homeless shelter in Tigard for families. Volunteers will use the on-site food pantry to prepare a meal that will serve all of the residents and the volunteer group. You're welcome to bring extra items/ingredients to add to the meal if you'd like. No volunteer is required to bring any food items, but if you would like to make a food donation the Good Neighbor Center strongly recommends dairy products, such as milk, cheese, or eggs. The shelter has 9 bedrooms to serve up to 9 families, with a total capacity of 36. Each family has a private room where they can keep their belongings and sleep. The Good Neighbor Center is dedicated to providing safe emergency housing and supportive services to empower individuals and families to be self-sufficient. Keywords: free_the_future Project Requirements: Volunteers must be 14 years of age or older to attend this project; any volunteer under age 18 must attend with a parent or adult chaperone. If you plan to bring your children or other guests to the event, you MUST reserve slots for them. The best way to do this is to create a Volunteer Team. You can then sign up your team for this project. All volunteers under 18 are required to bring a waiver signed by their parent or legal guardian. Please download, complete, and bring this waiver with you on the day of the project: Youth Volunteer Release Form Click "Sign Up" below to reserve your spot! Need help signing up? Call 503-200-3355. Join the Oregon Food Bank in our mission to eliminate hunger and its root causes. Inspect, sort and repack all things refrigerated! You'll see fresh fruits and veggies, yogurt, meat, sandwiches and other nutritious foods that are highly valued by partner agencies and clients. Because we are working with perishable food in OFB's Fresh Alliance program, volunteers work in a room kept at 50 degrees. Please remember to wear closed-toe, closed-heel shoes, and clothing you wouldn't mind getting just a little dirty. Must be comfortable bending and standing on concrete in a temperature-controlled (50 degree) room. The length of Fresh Alliance shifts is directly related to the amount of food we receive from the grocery stores that day. The end time is the latest the shift will go but we may end earlier! Please note that this is a very small shift and OFB is counting on you to show up if you sign up! Court-Ordered Volunteers: You will need to contact Oregon Food Bank directly to determine whether you are eligible to volunteer. Please contact Jenifer Naas at volunteer@oregonfoodbank.org or 503.972.2993 What one volunteer says about volunteering in the Fresh Alliance program: "Fresh Alliance gets the healthiest foods out to people who need it so they don't just have to rely on canned or dry goods. I can't think of a better use of my time." - Tom Keywords: free_the_future Project Requirements: Volunteers must be 16 years of age or older to attend this project. 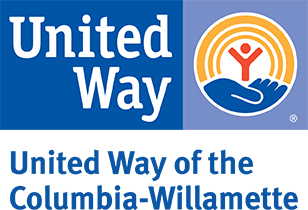 All volunteers under 18 are required to bring TWO waivers signed by their parent or legal guardian -- one for Hands On and one for Oregon Food Bank. Please download, complete, and bring these waivers with you on the day of the project: Hands On Youth Volunteer Waiver Oregon Food Bank Youth Release Form If you plan to bring your children or other guests to the event, you MUST reserve slots for them. Please create a Volunteer Team, then sign up your team for this project. PLEASE NOTE: If you are signing up as a Team, you are limited to reserving 8 slots. If you have more than 8 in your group, please sign up through the Oregon Food Bank's Group Sign Up page. Click "Sign Up" below to reserve your spot! Need help signing up? Call 503-200-3355. Serve a meal and play Bingo with the ladies at Jean's Place! Volunteers will be asked to bring ingredients to contribute to the meal and the group will prepare dinner on-site to serve to the ladies living at Jean's Place. The volunteer leader will contact each volunteer to instruct you on what ingredients to bring. Everyone will then help facilitate a game of bingo, which will include prizes for the winners! Join us for this unique experience! We're counting on you! It is imperative that if you sign up for this project, you intend to be there and provide the ingredients that are assigned to you. When volunteers don't show up, we're not able to make the meal. If you are unable to attend, please let your Volunteer Leader know ASAP! Please note: no volunteer will be turned away due to lack of resources. If bringing a food item is a hardship for you, please alert the project leader. Volunteers are asked to refrain from wearing strong fragrances, such as perfume and cologne, during their volunteer shift. A part of Transition Projects, Jean's Place is a transitional housing program for adult, single homeless women. Project Requirements: Volunteers must be 18 years of age or older to attend this project. Click "Sign Up" below to reserve your spot! Need help signing up? Call 503-200-3355. We believe that doing good transforms our community and each of us individually. This belief comes alive when we connect volunteers with meaningful ways to help. Visit our Project Calendar to find a variety of "done-in-a-day" volunteer opportunities. The following projects occur over the next few weeks and could use your support. Please lend a hand and help make them a success! ► Looking for some fun and meaningful ways to get the kids engaged? Learn more about our family-friendly projects! ► Need a project that you can do from home, school, or church? Check out our DIY projects!